Sitting on the idyllic Dalmatian Coast, Split is one of the largest cities in Croatia and popular for its interesting history, beautiful scenery and vibrant yet authentic nightlife. If you’re planning on visiting this exciting city, check out our Split travel guide featuring some of the great things you can do when you land. Traditionally most of the beaches in Croatia are pebbled and rugged, but, Split has sandy shores and shallow waters. 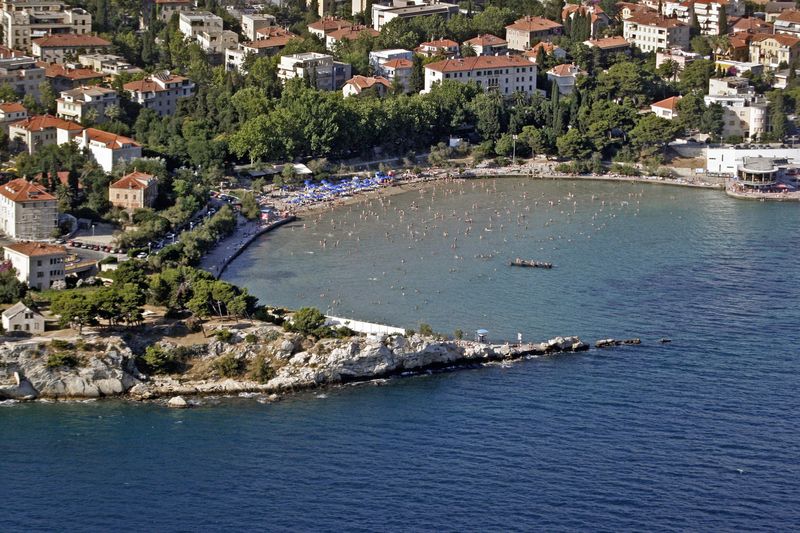 The picturesque Blue Flag Bačvice Bay is popular among visitors and locals alike. This could be because the waters are warm nearly all year round due to its south facing location. Relax on a lounger and paddle in the clear waves or sample some of the local cuisine along the curving promenade. 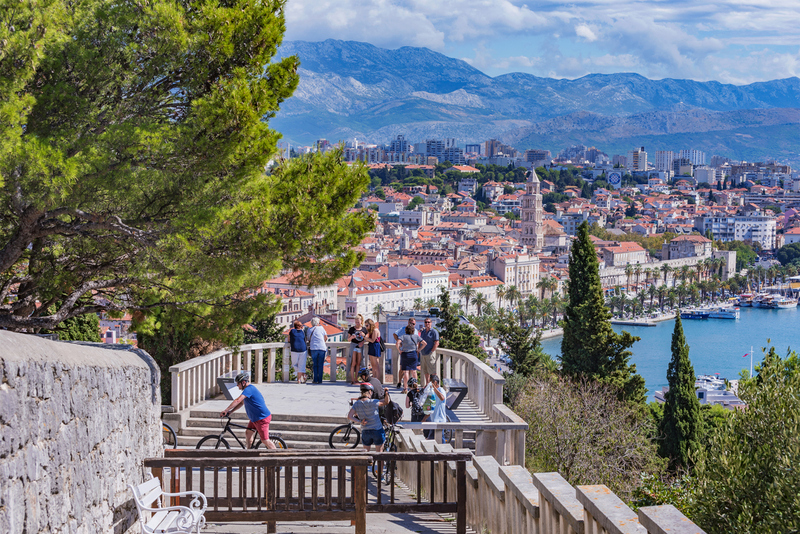 Split is home to several fantastic galleries and museums, which make for entertaining breaks out of the hot sunshine. 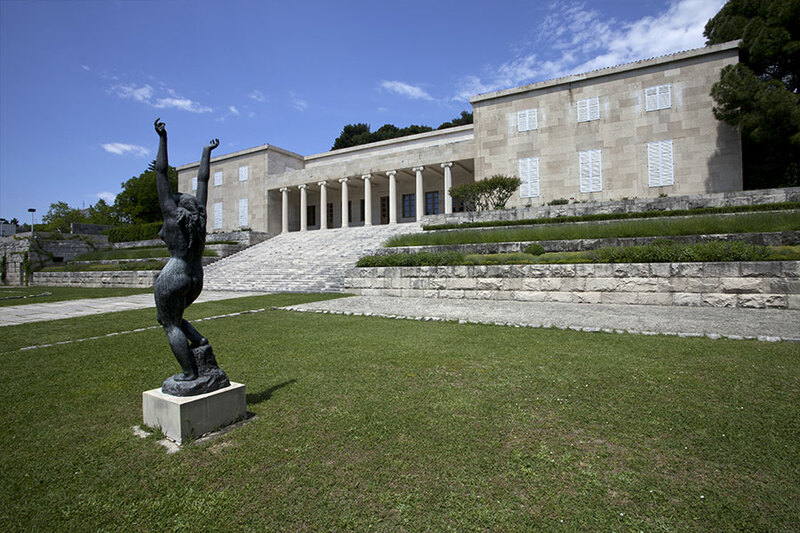 With its imposing grand staircase and Romanesque-inspired design, make the trip to the notable Mestrovic Gallery housed in Ivan Meštrović’s extravagant 1930’s summer home. Through the columned entrance enjoy the large collection of work dedicated to the famous 20th-century sculptor. Marvel at over 200 sculptures made out of wood and marble and take time to wander through the floral gardens. Nearly completely surrounded by water on the western tip of the city is the sprawling Marjan Nature Park. To escape the hustle and bustle of the city centre, follow the footpaths through the lush slopes and over the rocky hills to experience nature at its finest. Exotic plant life thrives here and it’s not uncommon to see species of agave, Aleppo pines and colourful flora out in bloom. Hike to its highest point for the Telegrin viewing platform at 178 meters high, to enjoy truly stunning views across the coast. 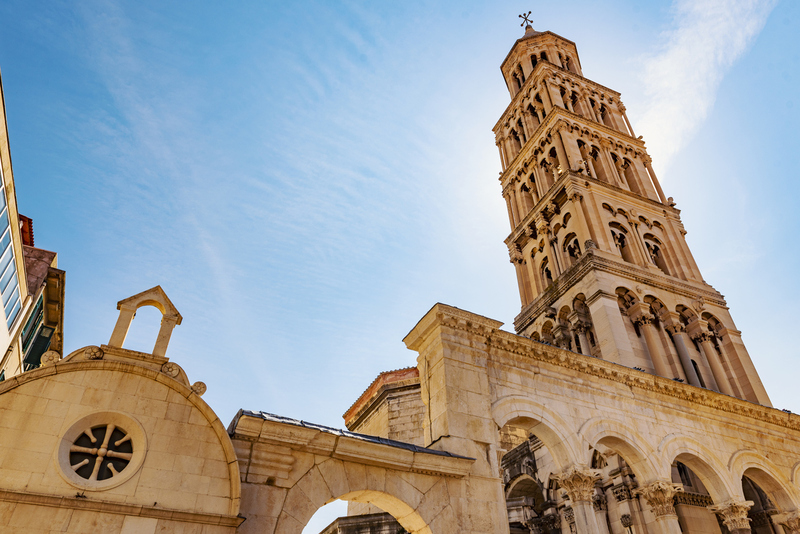 If you’re unsure what to do in Split, Croatia thankfully has an interesting rich Roman heritage, which can be seen throughout the city’s monuments. The most spectacular are the preserved ruins of Diocletian’s Palace and courtyard found in the old town. They were famously owned by Emperor Diocletian, the last ruler to reign over a Christian population. The ground floor of the palace was purposely flooded so the Emperor could enter his fortress without leaving his ship. With an elegant 4th-century architectural design, this UNESCO-listed palace is one of a kind. The Peristil Courtyard outside the palace is magnificent with dramatic pillars and detailed carvings. If you visit in the summer regular events and performances take place here. Around the palace ruins you’ll find ancient Roman streets which open up the old town with its Renaissance architecture. Near the palace is the Mausoleum of Emperor Diocletian inside the 7th-century Cathedral of Saint Domnius. Lavish by design, you’re immediately drawn in by the unusual octagonal shape. Inside, 24 Corinthian columns line the aisle and mosaics decorate the ceiling. Pay a visit to see the decorative murals and the 13th-century wood carvings at the entrance. 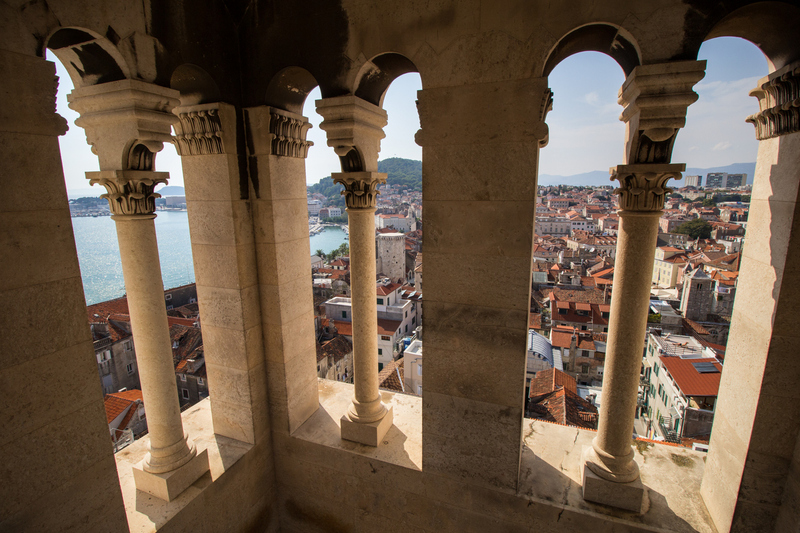 View this beautiful city in its entirety from the iconic Saint Domnius bell tower, which can be dated back to as early as the 13th century. It’s hard to miss the bell tower as it’s one of the tallest monuments in the city. You’ll find it behind the lavish Cathedral of Saint Domnius. Trail up the 57 meters via the winding staircase to the viewing platform at the top. Take in the panoramas of the sea of terracotta tiles framed by the Romanesque arched windows. If we’ve inspired you to visit this beautiful city, find out more about the Split and the Dalmatian Riviera.